Tata Value Homes Santorini: Enjoy Spanish style living in Chennai! Tata Housing – a fully owned subsidiary of Tata Sons, a holding company of the Tata Group, and currently one of the most reputed builder groups in India – presents a beautiful residential project called Tata Value Homes Santorini in Chennai, the capital of the state of Tamil Nadu. The magnificent project offers an unbeatable lifestyle with luxurious Spanish-themed homes. The enchanting residency, which is a ready-to-move-in development, happens to be the first project in Chennai by this illustrious business house that comes complete with the famous 'TATA' brand of assurance and quality. Spread over 18 acres of prime land in Poonamallee, Chennai, the project is CMDA approved and pre-certified green development. The gated community has huge open spaces comprising of exclusive podium gardens, designed with themed landscapes with sit-out areas and pergolas. Tata Value Homes Santorini Poonamallee offers 1, 2, 3 BHK Spanish-style homes that are designed to give an exclusive experience to home buyers. The project is strategically located in the upcoming residential corridor of Poonamallee, which is situated off the Bengaluru- Chennai NH 4. The residential project is located just 26 kms away from the airport and close to Thirumalisai Satellite Township proposed by TN Government. The exclusive residential project offers Spanish living which is a never ending fiesta for home buyers, filled with great food, siesta, music, stunning architecture, and luxurious living. The project has a number of ready to move in homes that come with exclusive podium gardens. Every home is distinctly Mediterranean with abundant sunlight, cleaner, and fresher air. The project is inspired by Spanish lifestyle and architecture, which is extremely lively! The low rise buildings are designed by internationally acclaimed architects based in the U.S. The project has world-class amenities for home buyers, including a 9 hole golf course, cafeteria, sports facility, jogging track, tennis court, basketball court, volleyball court, swimming pool, skating rink, indoor games, amphitheatre, party lawn, party hall, restaurant, business centre, crèche, AV room, and a meditation centre. There is also a library, rainwater harvesting system, convenience store, pergolas, exclusive podium gardens, walkways, and gymnasium for home buyers. 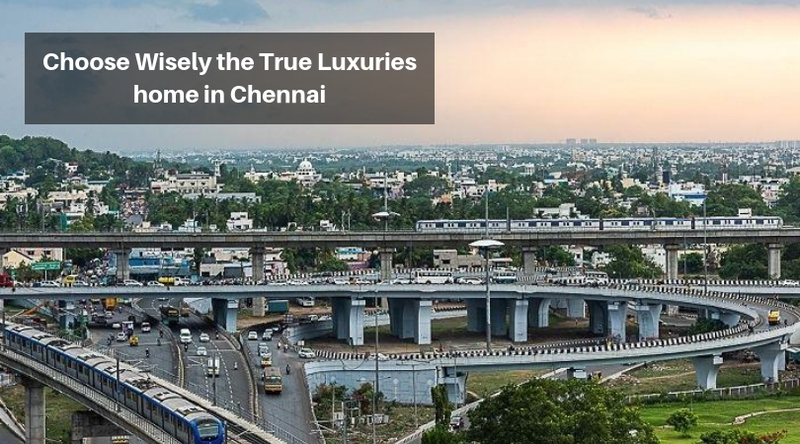 Tata Value Homes Santorini Chennai is well-connected to surrounding areas via an extensive road and rail network. The New Chennai International Airport is just 18 km away from Mevalurkuppam, while the Tambaram Air Force Station is just 18.5 kms away from the project. The Thiruttani Railway Station, Veppampattu Railway Station, and Sevvapet Road Railway Station are also near the project, and offer seamless connectivity. The area also boasts of a number of popular schools including St John S International Residential School and The Great School of Tamil Nadu. Saveeta Hospital, RMD Speciality Hospital, Kanaga Hospital, and Ramachandra Hospital are also near the project. The Adyar Beach, Santhome Beach, Elliots Beach, Thiruvanmiyur Beach, and Golden Beach are also near the project, which makes it one of the most sought after properties in the area. 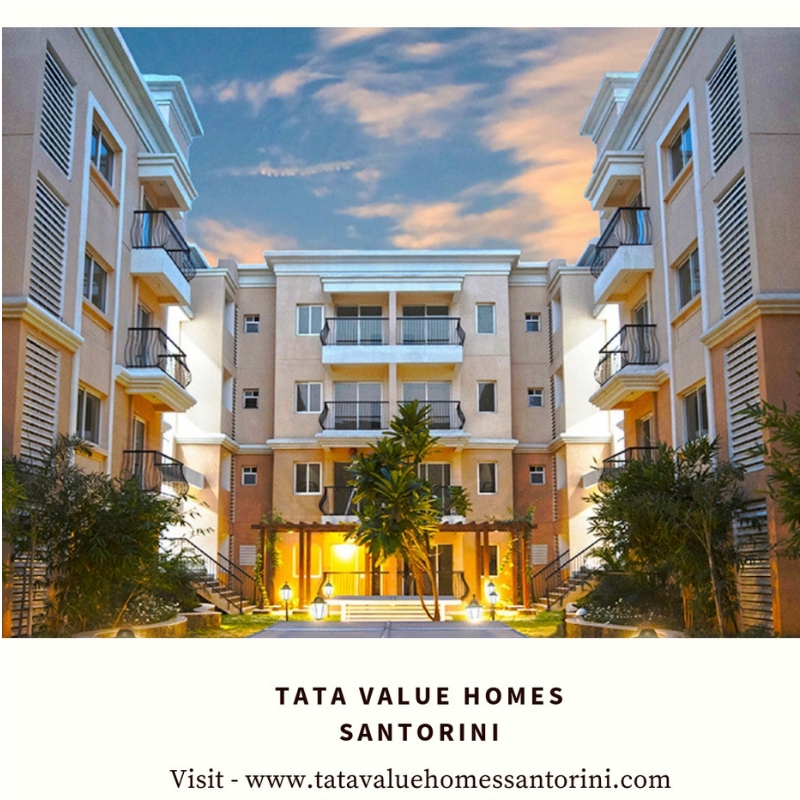 Tata Value Homes Santorini price is affordable and the developer is also offering a number of easy payment plans and home loan schemes in partnership with a number of banks and financial institutions. 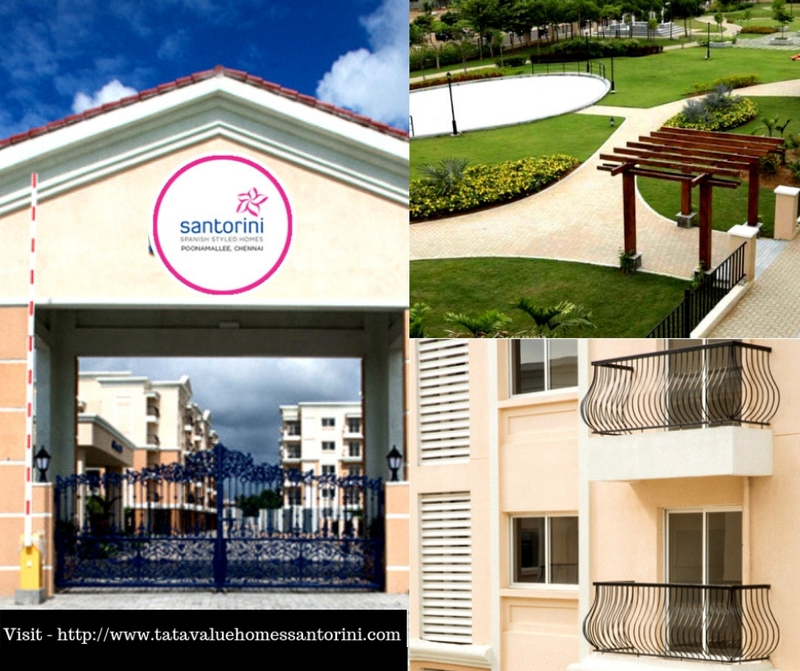 So you if have been waiting to buy a home in Chennai, Tata Value Homes Santorini is the perfect place to invest in! In the year 1984 the late JRD Tata established the Tata Housing Development Company for creating holistic real estate developments. The pioneers of low cost housing in India, Tata Value Homes is a 100% subsidiary of TATA Housing Development Company Limited. The company aims at providing quality homes to the economically weaker sections of society. They are motivated at providing sustainable green developments to their patrons and have been awarded the Gold certification by LEED for almost every project undertaken by them. They create integrated and mix use townships in an endeavour to fulfil the aspirations of many Indian that long for owning their own homes. The company is dedicated to doing business with values that involve, Customer Focus, Innovation, Agility, Quality, Leadership and Integrity. Currently the establishment has over 22 million square feet of development work going on in 4 Indian states. The most renowned ventures of this company include name like, Subh Griha and the New Haven brand. These ventures have proved their commitment towards the development of quality homes at affordable prices. Vitrified tile flooring in living room, dining and all bedrooms. Low-rise apartments (Stilt + 4 floors) with a total of 400 homes. 70% open space with podium gardens, sit-outs & pergolas. Strategically located in the residential corridor of Poonamallee.